WILL THE DIGITAL REVOLUTION leave architecture behind? The new, networked technologies that are transforming the way we experience space and time seem resolutely intangible, a universe apart from bricks and mortar. Yet such technologies are increasingly embedded within our walls, even within the very ground on which we stand. From environmental sensors, adaptive thermostats, and cloud-connected security systems to massive computerized farmsa particularly stark example of which is depicted on this issue’s coverthese apparatuses are catalyzing a nearly invisible shift in architecture that is nevertheless far more profound and ubiquitous than the stylistic trends that have been the primary effects of digital technology on the discipline thus far. 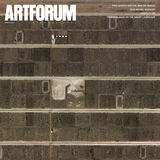 To explore the largely unheralded impact of so-called smart technology on our built environment, Artforum turned to REM KOOLHAAS, an architect who is celebrated equally for his buildings and his manifestos, and who is known above all for his relentless critical reflection on architecture’s evolving place in the world. 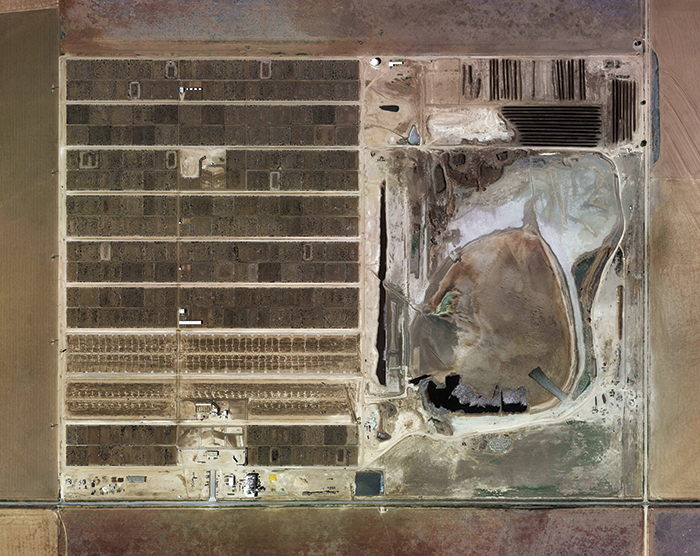 Mishka Henner, Wrangler Feedyard, Tulia, Texas, 2013, ink-jet print, 59 × 73 1/4". From the series “Feedlots,” 2012–13. AFTER A DECADE AND A HALF, the twenty-first century is beginning to reveal some of its likely essences. Architecture has entered into a new engagement with digital culture and capitalwhich amounts to the most radical change within the discipline since the confluence of modernism and industrial production in the early twentieth century. Yet this shift has gone largely unnoticed, because it has not taken the form of a visible upheaval or wholesale transformation. To the contrary: It is a stealthy infiltration of architecture via its constituent elements. Architects first embraced digital technology in response to the apparent virtuosity of digital manufacturing. In the face of constantly increasing economic and governmental pressure for standardization, which threatens to flatten the architect’s range, advanced software and digital fabrication announce the unfettered, direct translation of the architect’s imagination into physical form3-D printing promises to short-circuit the laborious practice of architectural construction, performing a kind of magic bypass. . . .But printing has its own limitations. It can only produce seamless, connected shapesit cannot assemble separate parts. For thousands of years, the elements of architecture were deaf and mutethey could be trusted. Now, many of them are listening, thinking, and talking back, collecting information and performing accordingly. The door has become automated, transformed into an extension of the smartphone, with each opening and closure logged; elevators predict your intended destination by listening to your conversations and tracking your routines; toilets diagnose potential illness, building a catalogue of the user’s most intimate medical data; windows tell you when they should be opened and closed for maximum environmental efficiency. Your house may soon insist on an early bedtime to stop irresponsible consumption of energy. A Faraday cage will be a necessary component of any homean electromagnetic shield offering a retreat from digital surveillance and preemption. The tech world’s gradual colonization of architecture is taking place without the collaboration of its host. As technology triumphs, architecture is simply left behind. The “Internet of everything” is drastically changing many fields, but architecture, because it is a five-thousand-year-old discipline, is especially susceptible to the radical yet surreptitious shifts catalyzed by a network of wired objects creating an immersive, inescapable environment. Architecture has welcomed the benefits of the digital regime at the very moment that data has demonstrated a monstrous potential for duplicity. While we still think of buildings as neutral spaces, our houses are assuming a degree of consciousnessthe “intelligent” building is a euphemism for an agent of intelligence. Soon, your house could betray you. Historically, the city has represented the highest level of the architect’s ambitions. The goal of the avant-garde manifesto was never to revolutionize architecture one building at a time, but to catalyze sweeping changes at the urban scale, reordering the entire structure of modern life. Yet when the market economy took hold at the end of the 1970s, architects stopped writing manifestos. We stopped thinking about the city at the exact moment that urbanism exploded in the developing world. The “smart” city has stepped into that vacuum. The effects of the new technologies infiltrating architecture unfold even more blatantly in the smart city, which projects the data gathering and feedback loops of the Internet of everything at an ever-broader scale. In September 2014, at a European Commission conference on the smart city in Brussels, prominent figures in the field of technology staked their claim to the urban realm, traditionally the domain of architects. This transfer of authority has been achieved through a clever strategy: By calling their city smart, they condemn our city to being stupid. The smart-city movement is an increasingly crowded field, and its protagonists strive to prove their worth by identifying a multiplicity of disasters that can now be averted by the application of digital technology. The effects of climate change, an aging population, decaying infrastructure, the provision of water and energyall are problems for which smart cities promise answers. These solutions are marketed through cute icons of urban life, cohering into perfect diagrams in which citizens and businesses are surrounded by multiplying bubbles of control. Apocalyptic scenarios will be managed and mitigated by sensor-based responses; mundane issues, hidden from view, will be brought to our attention and redressed automaticallyfix leaky pipes, save millions. Every problem solved, no matter how negligible, will save millions. Yet the commercial motivation behind the relentless pursuit of efficiency and optimization has the perverse effect of impoverishing the very entity it is supposed to serve. With safety and security as selling points, the city is becoming vastly less adventurous and more predictable. 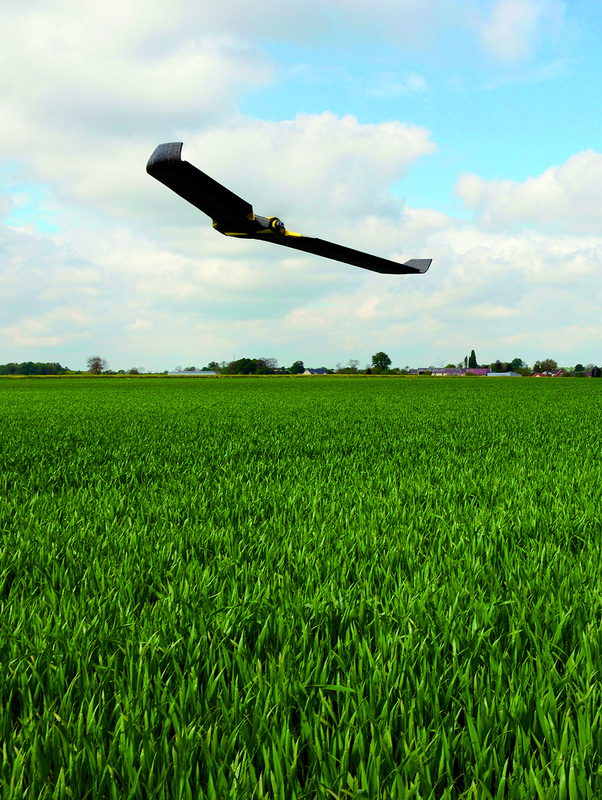 To save the city, it may have to be destroyed. . . .
GPS-guided drone surveying crops and measuring the supply of nitrogen necessary to improve productivity, Caulières, France, May 6, 2014. Photo: Denis Charlet/AFP/Getty Images. Our fixation on the smart city is distracting us from an even more radical and unheralded transformation in the countryside, which iswithout our noticingbecoming far smarter than the most advanced urban realm. A colossal new order of rigor is appearing: Every square meter of every field has been converted into units of data and fed into computers aboard smart tractors, which precisely manage seed and pesticide delivery, analyzing optimum climatic moments for distribution to maximize efficiencies. As feedlots for farm animals come to resemble the most rigid city grids, server farms are hidden in remote forests. In the service of the ubiquitous digital regime, a hyper-Cartesian order is being imposed on the countryside, paradoxically leaving the city to take on the poetic and arbitrary appearance once reserved for the pastoral. It is a truism that the changes ushered in by the digital across every domain are being carried out without democratic overview or any measurable demand. Yet these shifts are still typically discussed in terms of how our lives are being improvedand rarely in terms of the vast realms of experience that are being taken away, from the private to the irresponsible to the transgressive. Because the smart-home and smart-city movements have been apolitical in their declarations, we have to ask about the politics behind the “improvements” they offer. The implicit authoritarianism of the digital regime sits in strange tension with a world that is slowly waking up to the realization that the neoliberal universality announced after the upheavals of 1989 will not happen. Instead, political correctness is now a system shared by East and West: It is the official ideology for the twenty-first century. A perverse new human-rights charter (improved, limited, achievable, value-free) is about to unite all peoples, all regimes, and is, by definition, popular. As a substitute for the French Revolution’s liberté, égalité, fraternité, a new universal trinity has been adopted: comfort, security, sustainability. This new trinity will impose an inescapable and irreversible diktat on every domain, and architecture will embrace it with masochistic enthusiasm. It is not hard to predict how radically this trinity will affect our discipline in a wave of faux conscience, sweeping away all anterior practices of architecture, and with them the evidence that generations of smart artists, architects, clients, rulers, and craftsmen had already understood the inherent intelligence of buildings and cities for millennia. There seems to be little possibility of merging the knowledge accumulated over centuries with the narrow range of practices considered “smart” today. Perhaps the fundamental opposition we now face is between architecture’s long-established power to articulate the collective and the digital’s apparent ability to merge with the self. What is most insidious about the digital regimeand where it differs from earlier social and political paradigms that relied on laboris how essentially automatic, and therefore effortless, it is, once programmed and wired. There is no limit to quantity, duration, multiplication, connecting, cross-referencing. . . . The digital is essentially beyond exhaustionan endlessly upgrading and mutating integration of the city, its architecture, its constituent elements, and its bodies. If the digital is about to deliver us to a sensor culture, does that imply an endless reinforcement of routinea system proud to deliver more of the same? These relations can only turn in on themselves: the world as an endless, tautological repetition of cause and effect. Rem Koolhaas is a founding partner in the Office for Metropolitan Architecture.